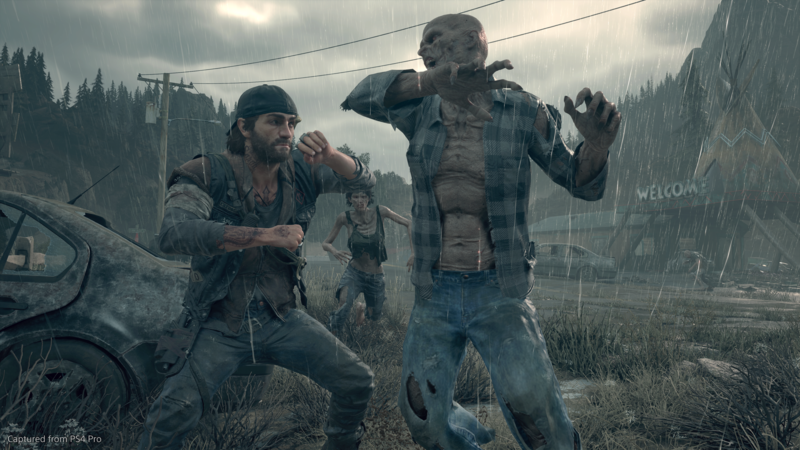 Published by Sony Interactive Entertainment and developed by SIE Bend Studio, Days Gone is an upcoming open-world action game that forces you to survive in a post-apocalyptic, infected world. This PlayStation 4 exclusive is a single-player experience, but apparently, it didn’t have to be. As revealed in an interview with Venture Beat, Saber Interactive CEO Matt Karch said the team offered to help create a multiplayer experience for Days Gone. Karch cited Saber Interactive’s upcoming World War Z, as an example of what could be done, but ultimately the pitch didn’t land. At some point I went to Sony and said, “I’ve seen what you’re doing with Days Gone. Look what we’re doing with World War Z. Maybe we can help you with a multiplayer component.” But they were obviously too focused, and understandably, on what they needed to do to get that game out. The comparisons between World War Z and Days Gone come from the fact that both games feature zombies and/or infected hordes of enemies. Especially based on earlier gameplay footage of Days Gone, which showed the player spraying down an onslaught of foes, it makes sense that Karch could see multiplayer fitting into the game. In the same portion of the interview, Karch admitted he was intimidated by Days Gone initially. He now feels both titles have their own market and can succeed adjacently in 2019, because each game has distinct differences and the PS4 exclusivity automatically eliminates Days Gone from the part of the market. I hope that game does well. It looks fun to me. The other thing about Days Gone, people keep talking about it, but let’s not forget it’s only going to be on the PlayStation. We’re going to be on Xbox, PlayStation, and PC, and we’re multiplayer-focused. I think we complement each other well. Days Gone will be released exclusively on April 26, 2019 for the PlayStation 4. Until then, be sure to read our preview of the game.